Enjoy Today vintage style, retro quote poster and print is created by award winning Devon artist, Becky Bettesworth. Becky's collection of quotes and vintage style seaside prints and posters are inspired by the classic 1930s travel posters. The English Riviera, where Becky is based is captured in full sail in this stunning summer scene. 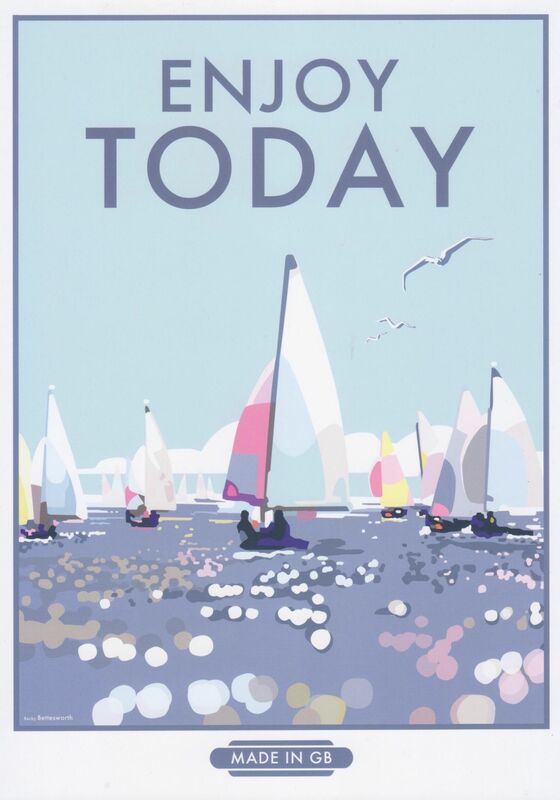 The colours she has used reflect the mood perfectly reminding us of sunny days and warm adventure filled holidays on the beautiful South Devon coast.